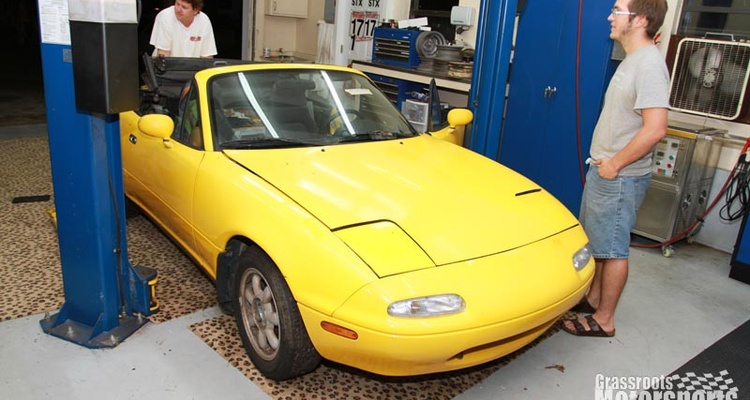 This Sunburst Yellow Miata--one of 1519 built--was advertised for $700 on our message board. When we went to pick it up, the seller didn't have a title. So we got it for $500. 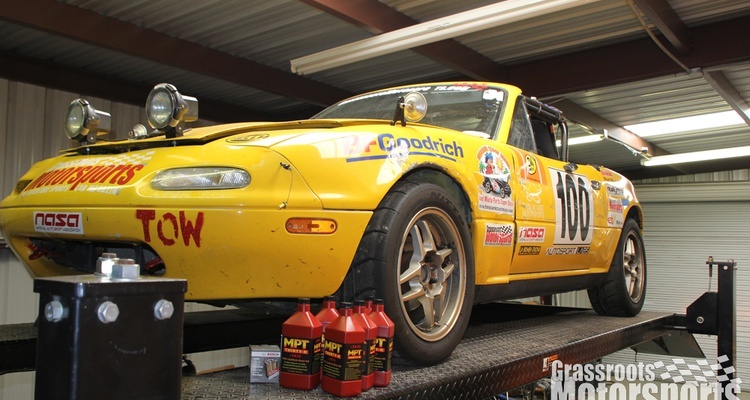 Sure, it's a rare color, but this example was too far gone to be worth restoring. We're going crapcan racing! Our LeMons Miata is down and out. How to prepare for our next race? With a botched art car theme of course. We're getting ready for our next race. 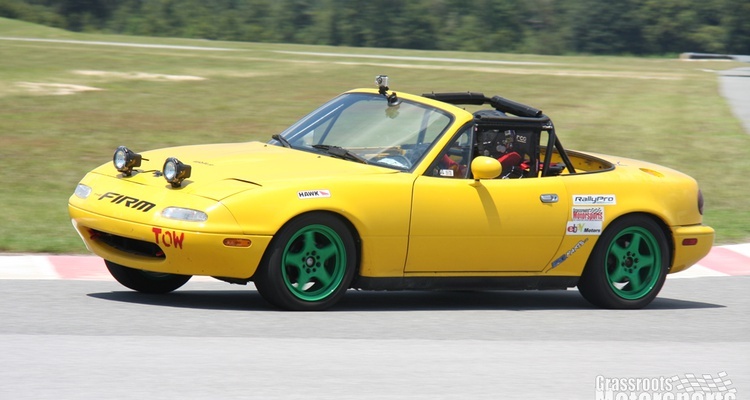 We took our crapcan Miata racer to the track to warm up for the next race. 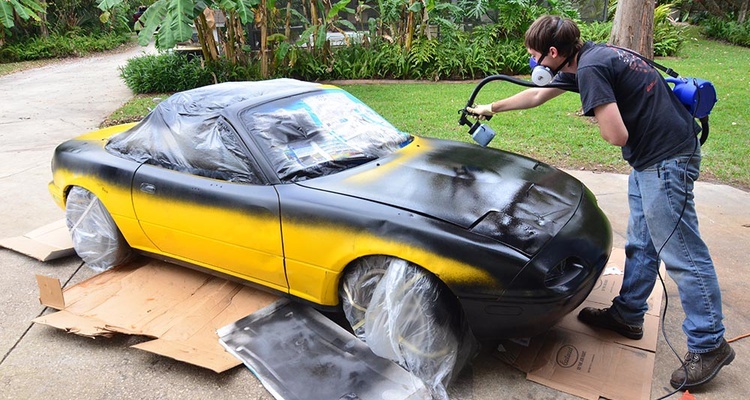 Preparing our Miata for a theme. 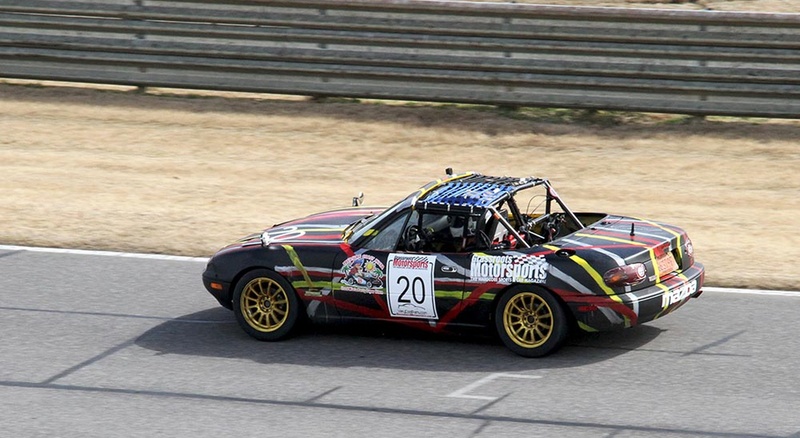 Our Miata gets featured in one of the great 24 Hours of LeMons wrap-up videos. 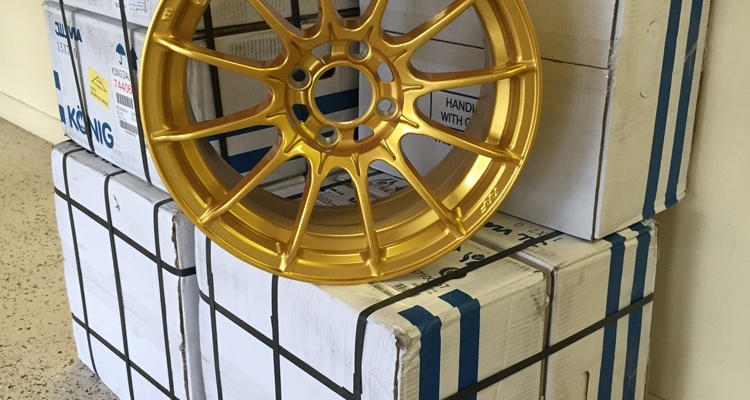 We just unwrapped two full sets of König wheels. 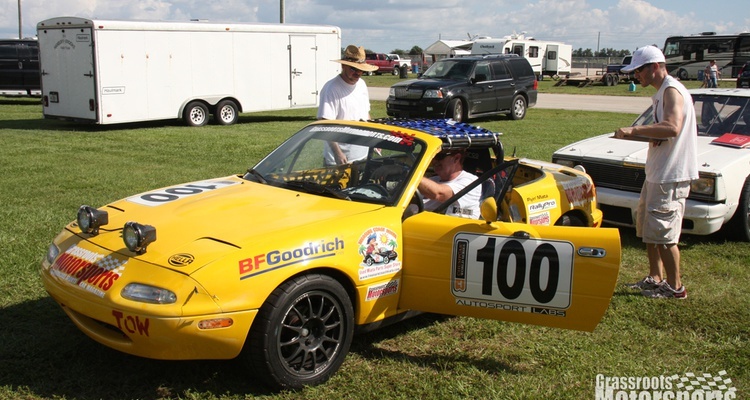 Our Miata brings home an 11th place finish. 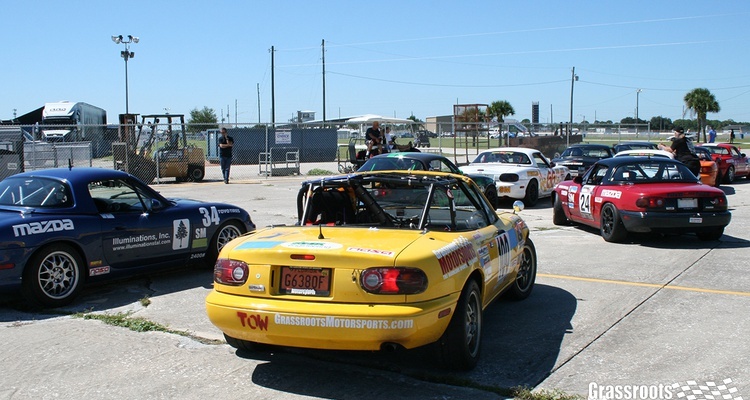 We dust off our $500 Miata and get ready to race. 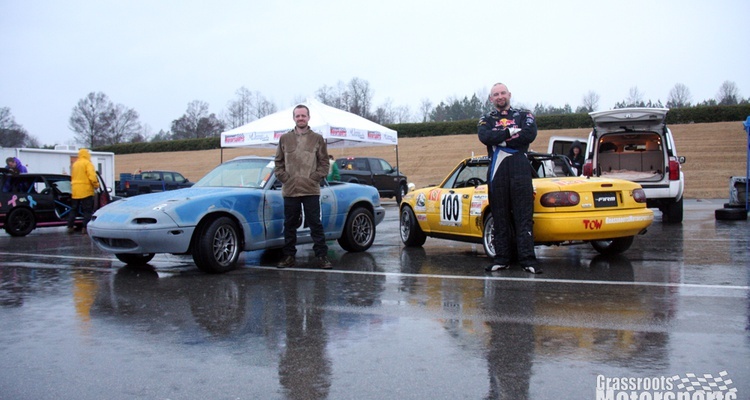 We took our LeMons-prepped Miata to a Spec Miata race. 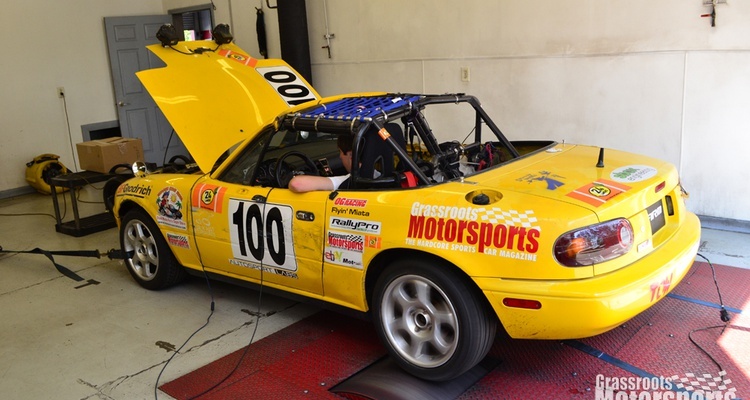 Our Miata Hits the Rollers. 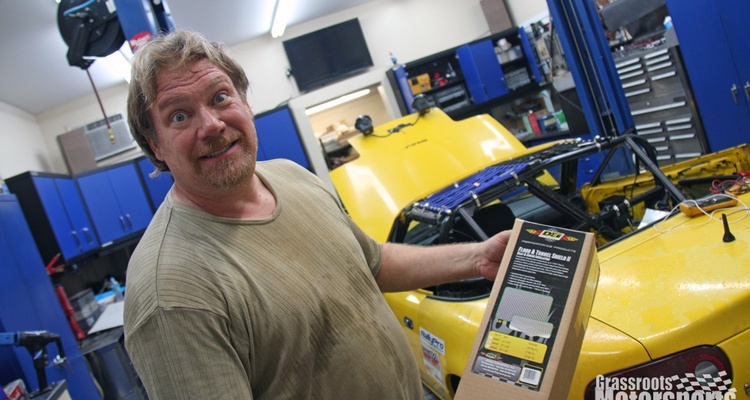 We search for cheap power on the dyno. 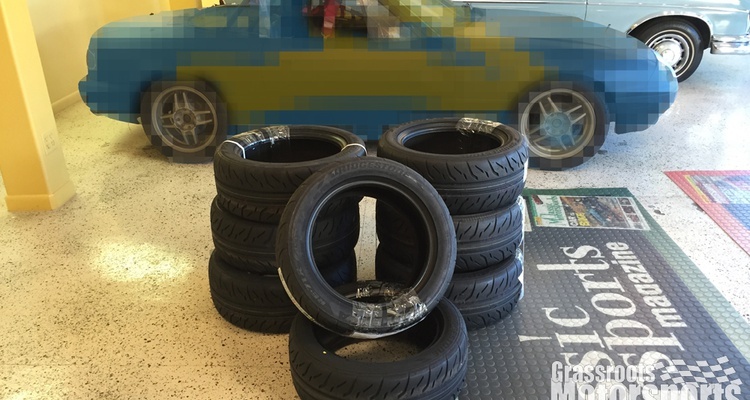 When we busted off our mirrors, we added new ones to the fenders, retro JDM style. Our round bits aren't round no more. 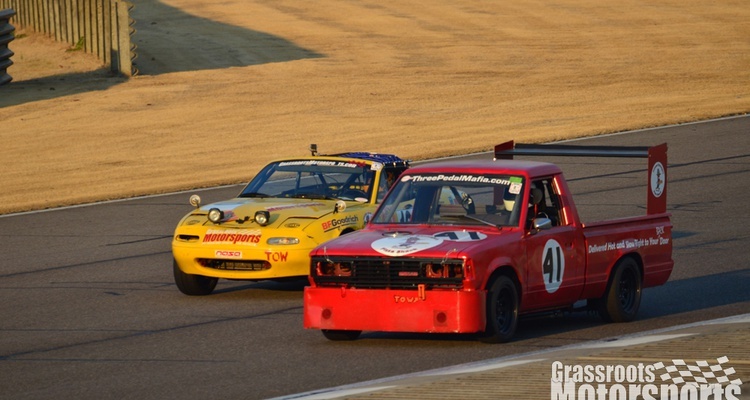 We need them better for LeMons at Sebring. 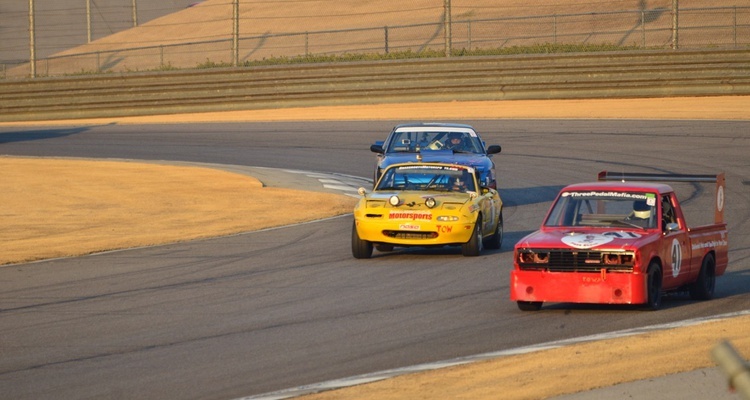 We're taking our yellow car to a LeMons race at Sebring. We installed fresh bearings for the occasion. 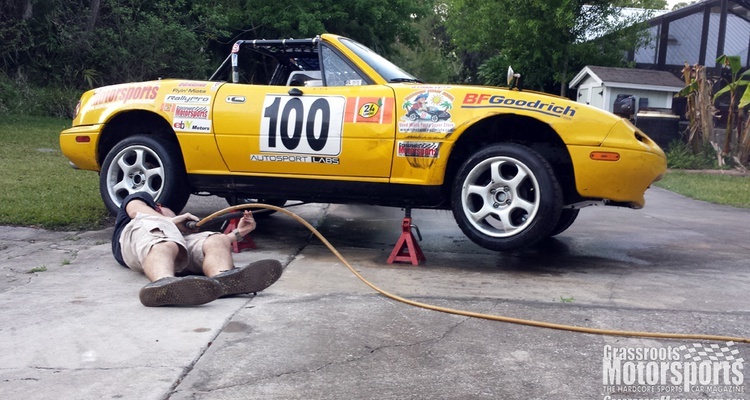 We're cleaning up and preparing for Sebring with The 24 Hours of LeMons. We went racing and tried not to step on our own hootuses. 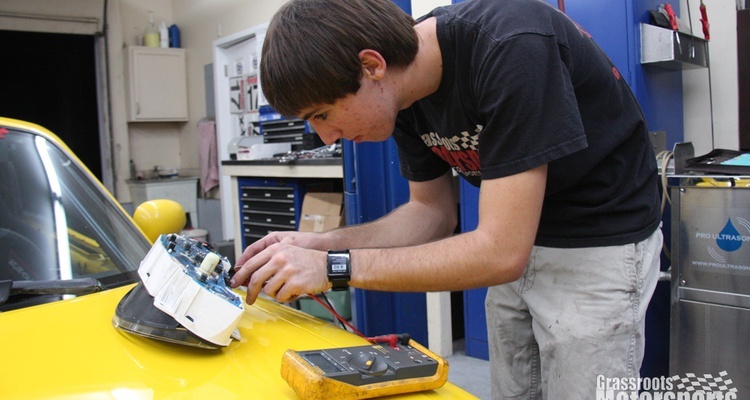 We look over everything and fix our fuel gauge. 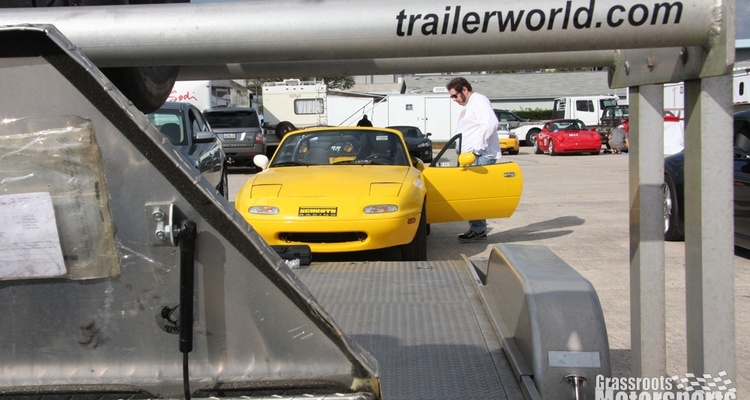 After 14 hours, our Miata drives up onto the trailer. 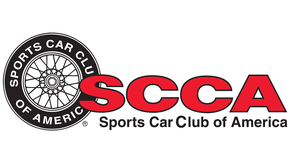 Almost time for ChumpCar's Sebring event. A DEI heat shield will protect our driver's toes from cooking. 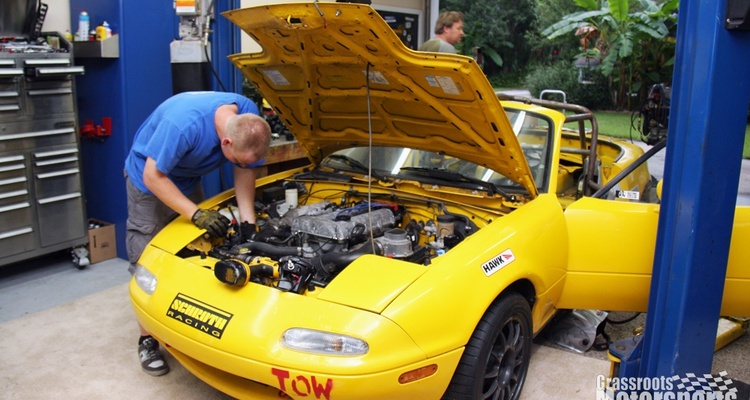 We diagnose our Miata's misfire. 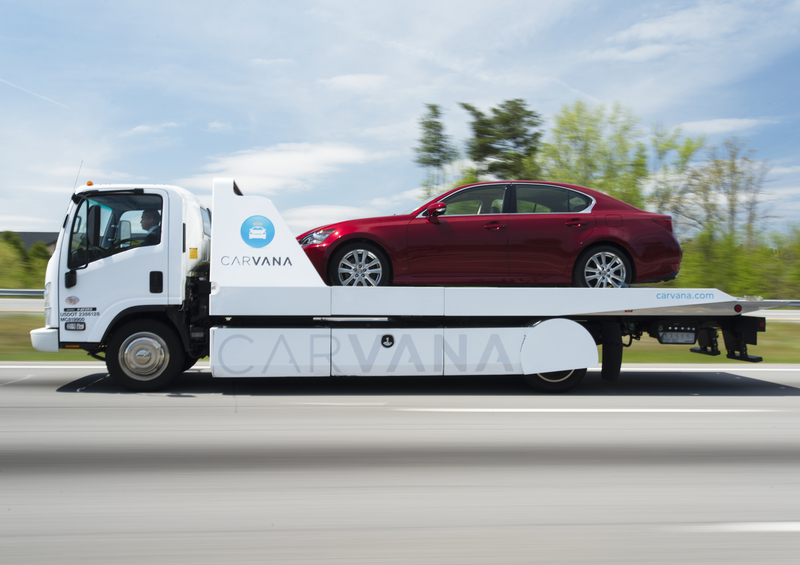 We test our newly minted crapcan racer. 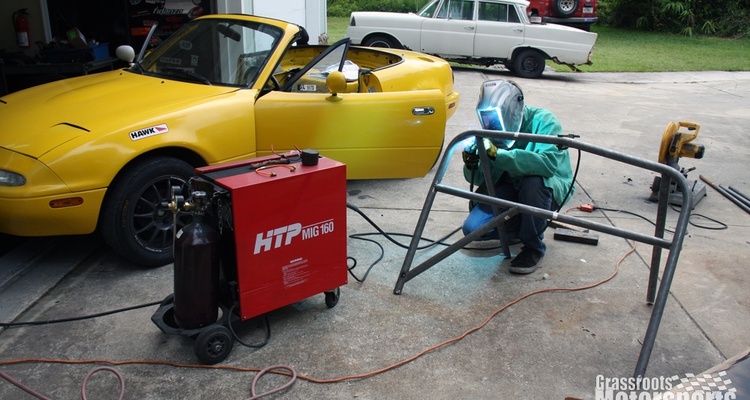 We weld and paint our roll cage. 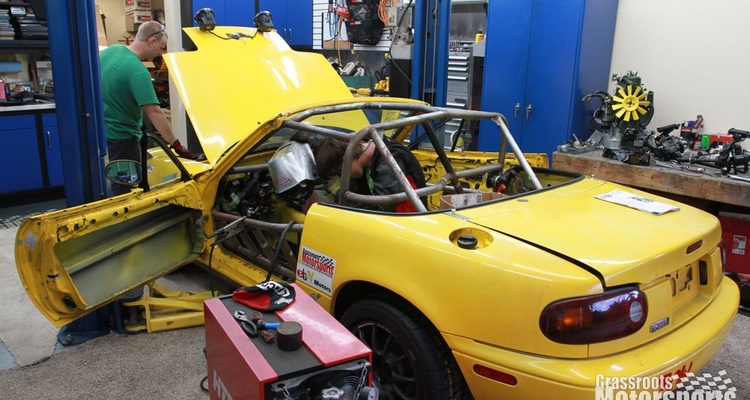 After a brief hiatus, we resume work on our crapcan racer. We're scrambling to finish the cage and tidy up the details. 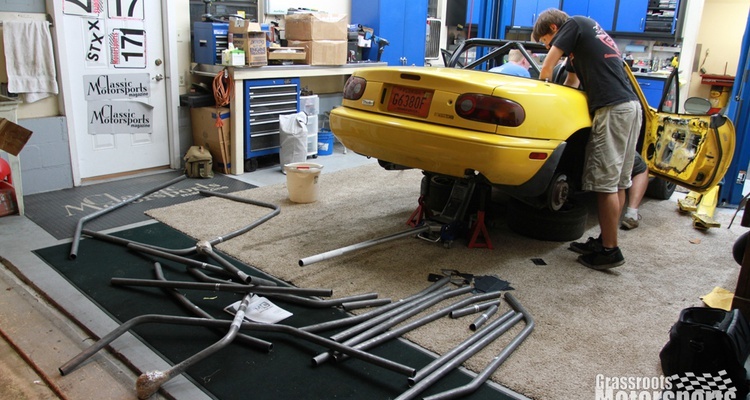 Our Miata's cage starts with a solid foundation. 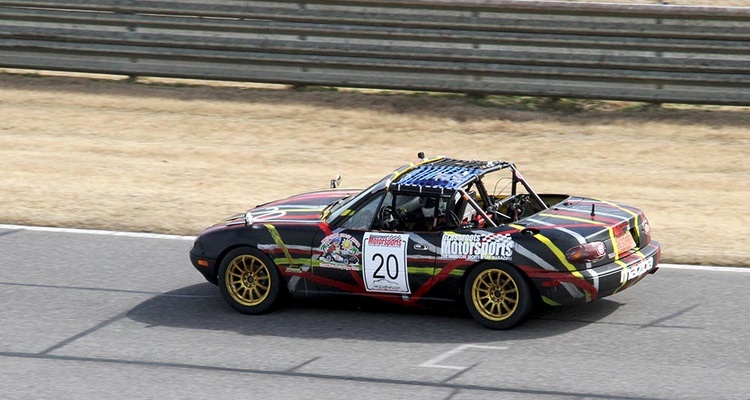 Our Miata loses its roll bar but gains a roll cage. 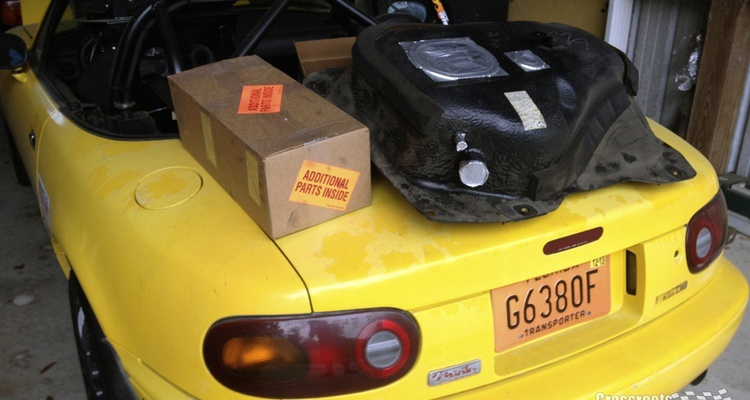 Our Miata digs its fresh fuel tank. 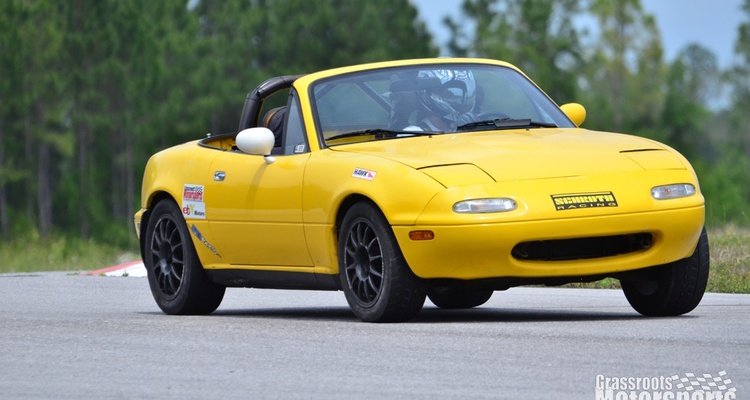 Would a fresh fuel tank help our Miata's woes? Draining the gunk didn't help, so we're swapping tanks. Our mounts were shot, so we got replacements. 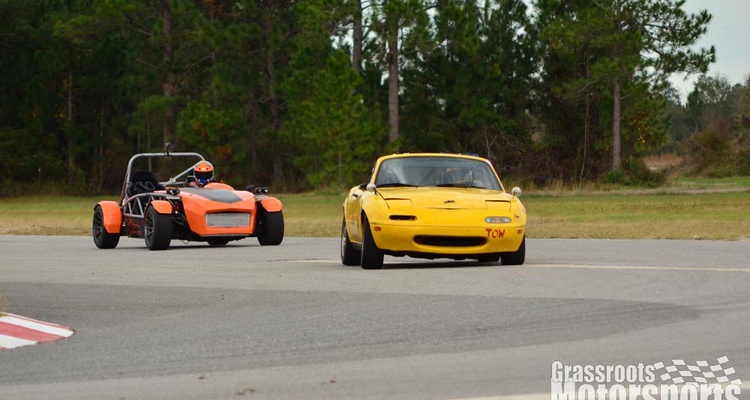 Little Miata, you're not a Corvair. 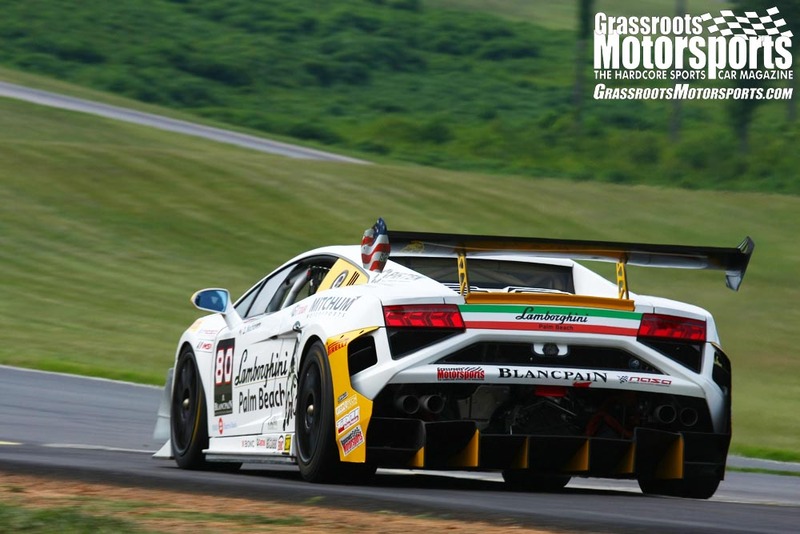 We join up with the PBOC Motorsports Club for a shakedown. Round 2 of Miata brake work. 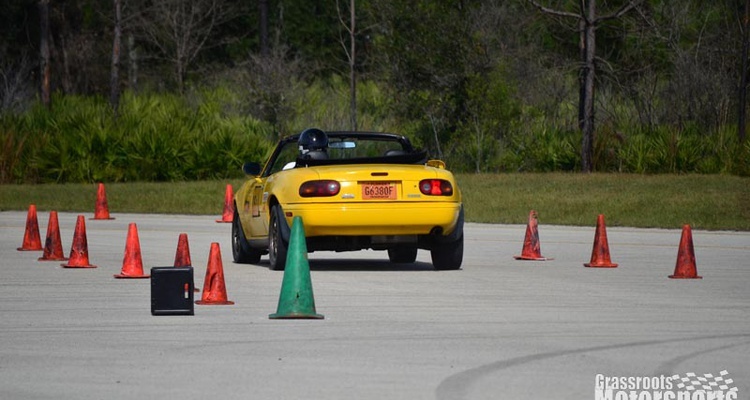 Our low-buck Miata attacks the cones. 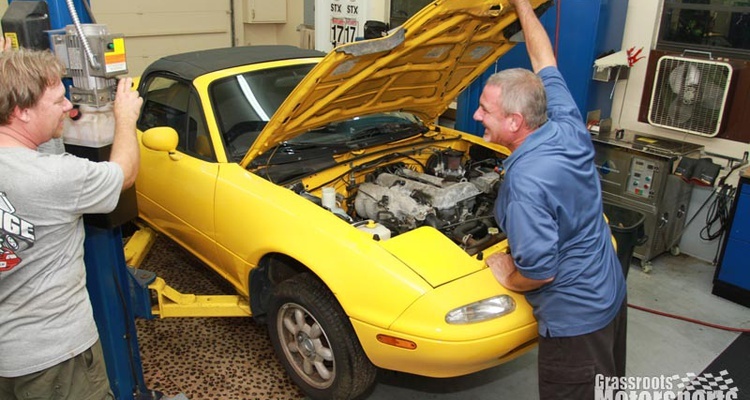 Our Miata gets brakes and a buffing. 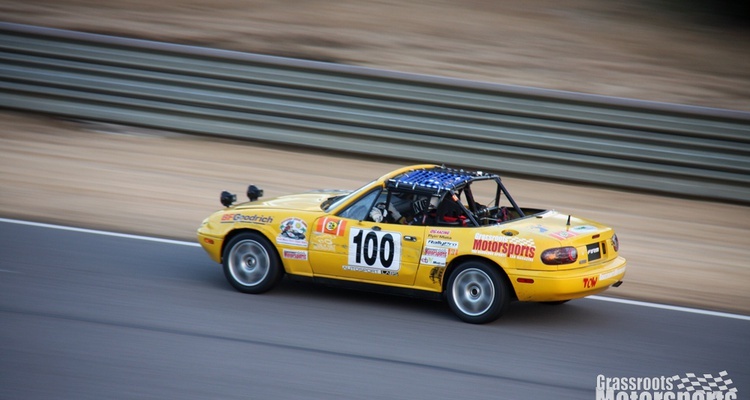 Our Mazda Miata is still a non-runner. 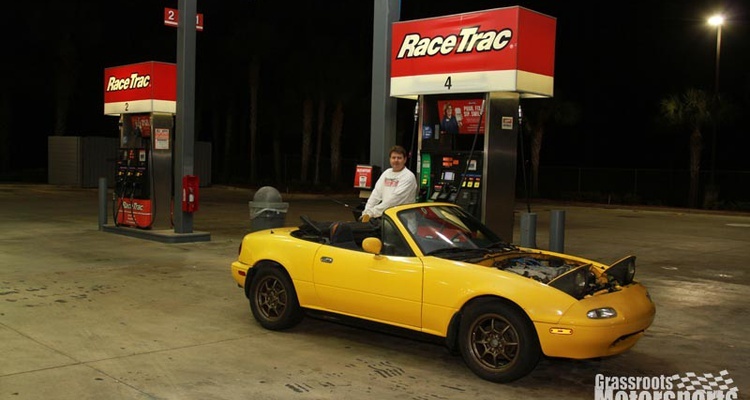 Our Miata now runs. Yay. 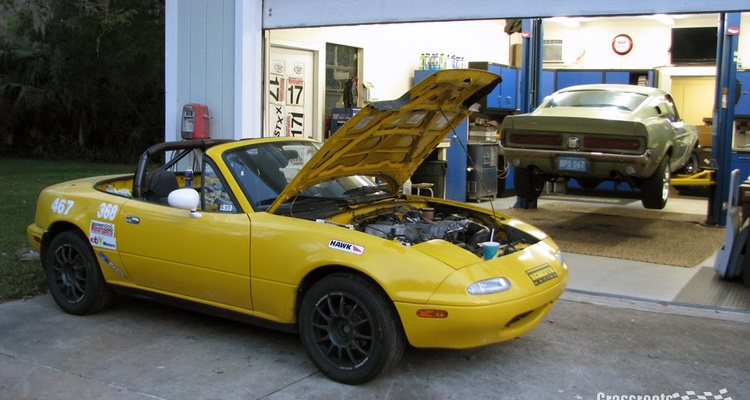 Our Miata is now free of its Ungo alarm. 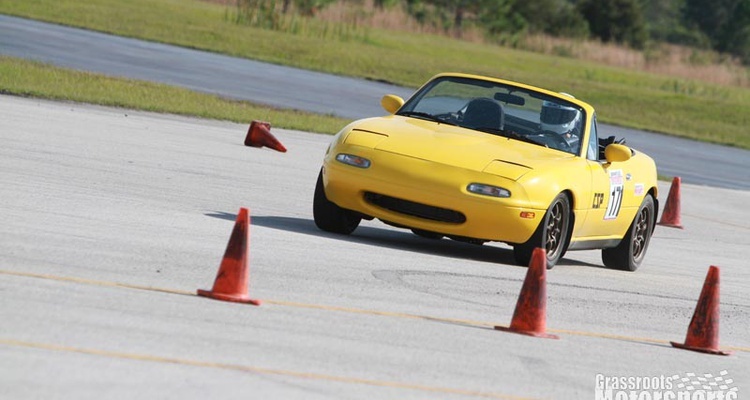 Perhaps the alarm is silencing our Miata. 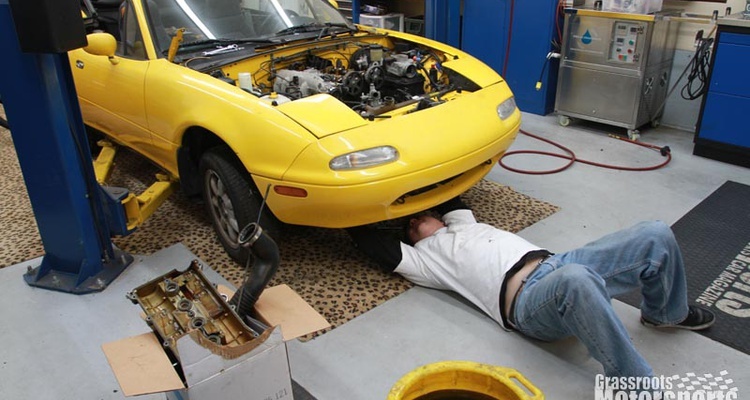 We make strides on our Sunburst Yellow Miata. 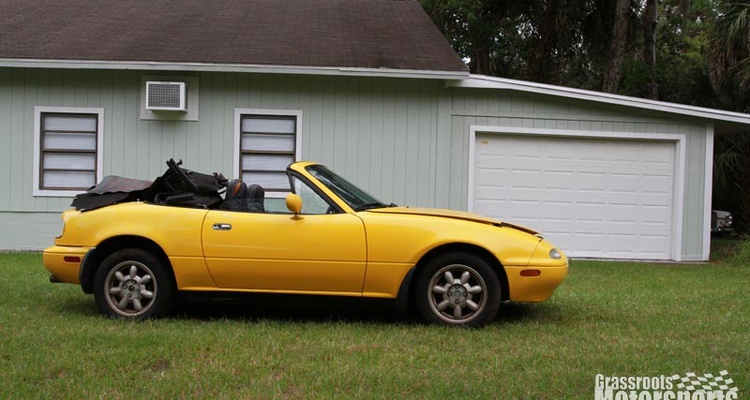 How much Miata can you get for less than a grand?